As part of our family travel month this May, we’ve been putting our heads together to think of ways to make the most of the educational aspects of travel with children. Before we begin, I should clarify – we’re not advocating bringing your kids’ homework along with you, or spot-testing them on what they’ve learnt along the way. The kind of education we’re talking about is the type your children won’t even know they’re receiving until they’ve soaked it up, like absorbent little knowledge sponges. Far from being bored by it, they’ll be inspired and excited to learn more – without ever suspecting that it’s good for them. If you’re the parent of a real wunderkind you might consider putting them through a language course before going on holiday, but let’s be honest – knowing how to speak fluent Burmese isn’t exactly a life skill. Instead, why not just learn a smattering of words before you go on holiday? Even as little as ‘hello’ and ‘thank you’ will be enough to impress the locals and win you plenty of friends along the way. Just type ‘speak Burmese’ into YouTube and you’ll find plenty of video tutorials that’ll introduce you to the basics. We’ve been working on this exciting project for a few months now and it’s finally nearly ready to be seen in all its glory! We’ve selected our favourite destinations and used them to build an interactive map of Burma. Just select a destination and find yourself instantly transported to Shwedagon Pagoda, Golden Rock, or the plains of Bagan. This is a fantastic way to show your kids some of the amazing places they’ll be visiting before you go – and the adults we’ve shown so far think it’s pretty awesome too. The map will be live for you to have a play with soon, so watch this space! 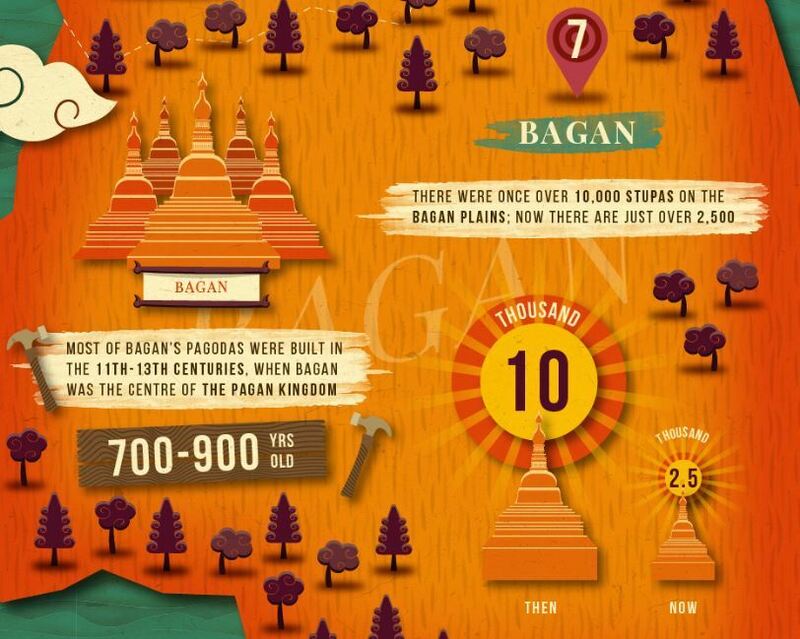 Check out our top Burma facts, too! One of the most enlightening things about travelling for a child is simply seeing how other children live without smartphones, iPads, and the other modern luxuries we all enjoy. Wherever you go in Burma your children will meet other kids with lifestyles entirely different to their own, but if you want to have a proper adventure and truly immerse them in the local culture, try a homestay. Our favourite homestay experiences are to be found in the Inle Lake region, run by the excellent and sustainably-minded CIT (Community Involved Tourism). There’s quite a bit of trekking involved – so we’d only recommend this for families with older, more active kids – but it’s a fantastic experience, and completely authentic and uncontrived. Getting involved in local crafts is a great way to teach your children about traditional culture without boring them to pieces, and kids love having a little something they’ve made to take home as a souvenir. Luckily, there’s no shortage of arts and crafts to be tried in Burma – one of our favourites is lacquerware-making in Bagan, where you can learn about the process from bamboo splitting to painting on the layers of lacquer and etching designs. After watching the experts at work, you’ll get a chance to paint your own piece of lacquerware to take home! The idea of having a history lesson on holiday is enough to set off a few yawns (in adults as well as kids, we’ll wager) – but if you’ve got any budding historians in your brood, there aren’t many places with such an exciting history as Burma. 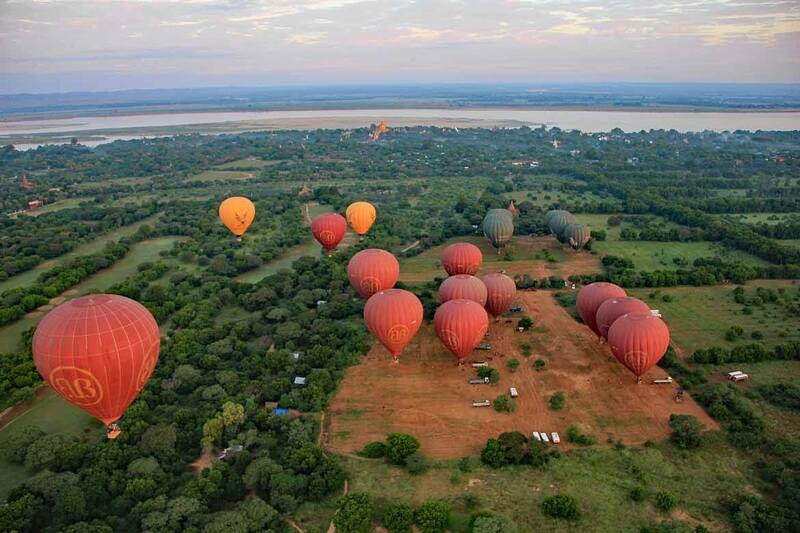 Bagan is the perfect place to combine education with exploration: here, as you cycle or roam amongst the thousands of red-brick stupas, the days of the ancient Pagan Kingdom come to life – and you’ll often find yourselves the only souls in sight, enhancing the sense of adventure. This period of Burma’s ancient history is fascinating: there were once over 10,000 pagodas in the region, and the empire that built them was one of the largest in the world in its day. If you want a really incredible experience – and your kids have got a head for heights – soar above the region in a hot air balloon! 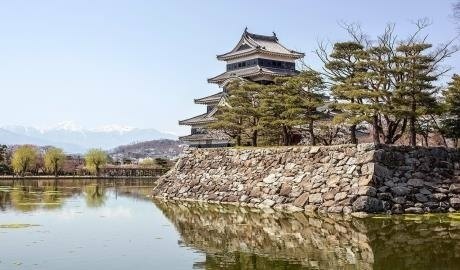 In more recent history, too, the British colonial period, WWII and Japanese occupation, Burmese independence and the military dictatorship all make for incredibly interesting background, and there are various sites of interest where you can learn about them. If you’re reading this and thinking “well that’s just great, but I don’t know the first thing about Burmese history” – I hear you. First, I recommend you take a glance at the history section of our website, of course. Second, consider making use of private guides as part of your holiday plan. Burmese guides are your link to the country’s history, culture and society. Give them the ages of your children in advance and they’ll be able to plan a day that’s paced correctly, and tailor the experience to suit your family. Not only are they a great source of information – but they also take the stress out of navigating in a completely new environment: they’ll introduce you to Yangon’s postcolonial history, show you how to use the trains, make sure you don’t get lost, recommend a great place for lunch and translate the menu for you – they’re great value for money. And most importantly of all, if you’re not having to concentrate on logistics, you’ll have more attention to give your kids. 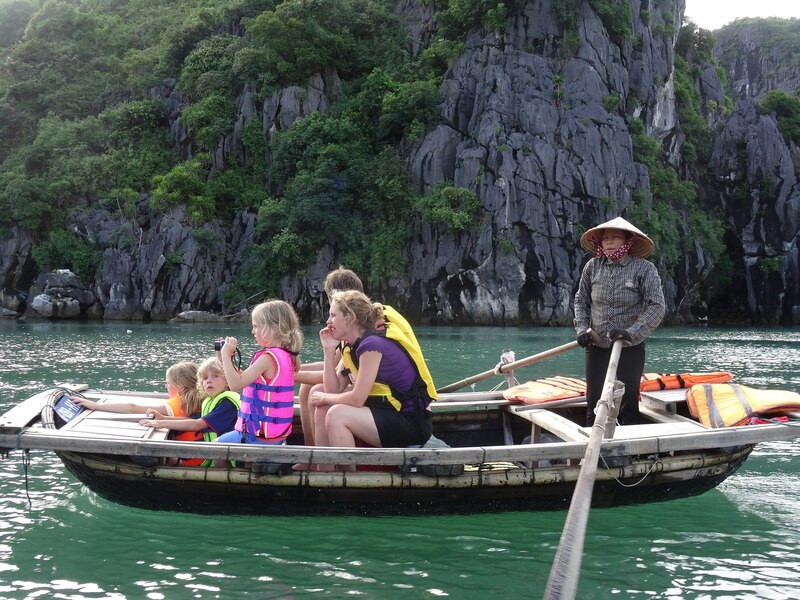 To read about how a local guide can change your holiday for the better, read this blog post by our customer Lesley Greenhill. The food is a challenge on any family holiday – especially if you’ve got fussy eaters in tow. One fun way to introduce your children to Burmese cuisine is to arrange a cookery lesson, where you’ll visit a local market to select your produce, return to the kitchen, prepare the ingredients and have a local chef teach you how to make your own Burmese delicacies. You’ll conclude, of course, by eating them. Having a hand in creating their own meal may make even the most unadventurous little mouths want to branch out – though I’m not promising anything! 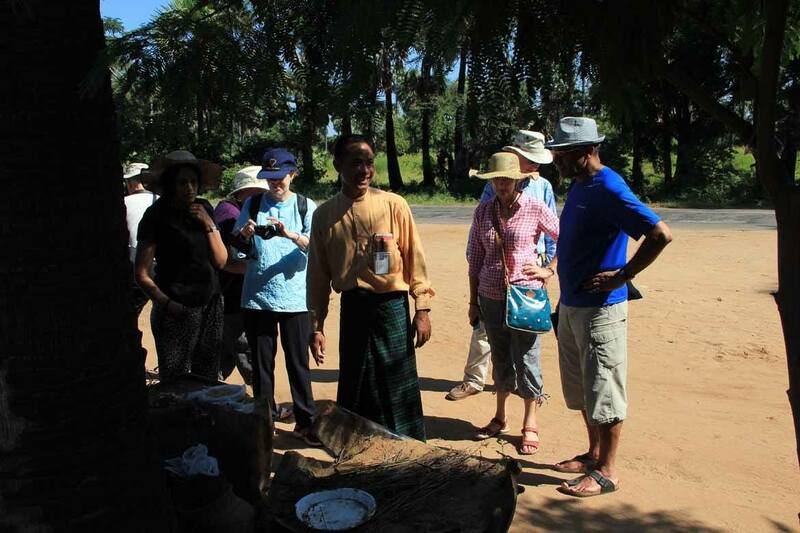 Our favourite cookery classes can be arranged in Pindaya (near Inle Lake) and Bagan. Whilst all of these experiences offer a fun way to learn about and interact with Burmese culture, the truth is that you don’t have to try very hard to give your kids an education while you travel. Whether they’re eating something new or just watching out of the window of a train, they’ll be soaking up new experiences left, right and centre and becoming more open-minded because of it. Just sit back and enjoy the ride. If you’re interested in planning a family holiday to Burma, our team have plenty more advice and suggestions to help put together your dream trip. Read our family page for inspiration or get in touch with us to find out more.